The glasses are very good, and they suits my face very well. However, in spite of my old glasses' arm is 140mm, I cannot wear them (arm=138mm) as reading glasses, only very close to my eyes. It was just because different arms proportions. 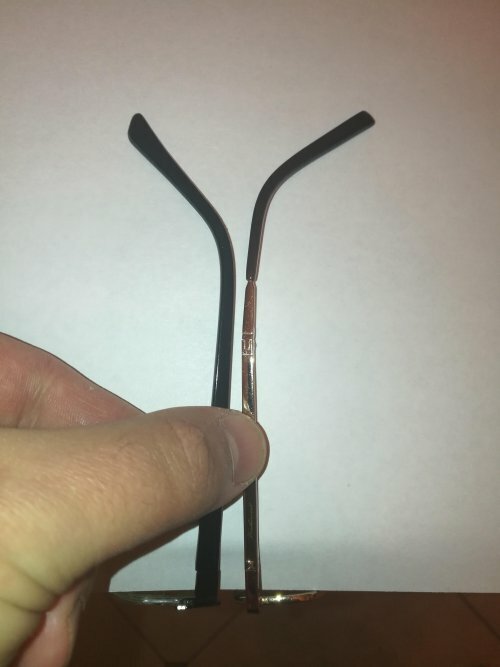 Take look on the attached photo: the left arm is of Infinity's 8062, the right one is of my old glasses. 138mm and 140mm, but there is the significant difference in how each frame fits. Anyway, I do like Infinity 8062 and wear it while I'm working in spite of I cannot put it on the tip of my nose. This is the third order that I've placed and it gets easier and easier every time. Your able to track your order throughout the process, I paid a little extra to get my order here in good time after manufacture. If you don't know how to put your prescription in as all the +- are confusing, why not take a picture of it, download it and send it with your order, that way there's no confusion or mistakes. Think I'll splash out next and get my self some prescription sunglasses so I'm ready for the summer! Really simple glasses that does the job. I've worn them for nearly one year with no issues whatsoever. No obvious scratches, fit well on my face as they were bought after measuring my old glasses and are a comfortable fit. The nose pads are not easy to clean and can accumulate dirt around it. 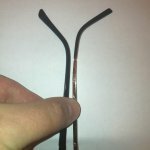 However if done carefully they can be cleaned without removing them from the glasses using a screwdriver. To be on the safe side, you can dismantle them and clean them. I've worn them cycling when commuting to/from work after I forgot to change to my sports glasses and had no issues. Will happily purchase again if needed. Quality is very good but they are not wide enough. ordered 3 pairs of different styles all with similar bridge and lens width, these being the widest but were way narrower than the other 2 pairs which fitted perfectly. The overall width of your glasses is not shown, surely it would be easier to select glasses with the overall width shown.